Lots to cover in May 2016 Condo Association News. A big verdict on the DR Horton Case I covered last month, drones crashing into building, proposed HOA tax credits and more. For even more news, you can get an exclusive bonus update by signing up for the Better Condo Life mailing list. After a lengthy litigation process and long trial in this potentially landmark case, the jury found DR Horton negligent and socked the Developer with a $9.6M penalty, which averaged to about $38,000 per Condo. Among other things, the plaintiffs noted that there was subpar stucco, roofs, and windows. Unfortunately, it seems that Developers often cut corners when building Associations, using subpar building materials and then hiding behind a complex network of indemnification and legal protection. Further complicating things is that the legal environment varies greatly from state to state. For example, Maryland just rejected legislation that would have aided homeowners, instead maintaining the current system which favors Devleopers. States have often limited windows by which an Association can sue for damages, and such processes are long and costly – for example, the DR Horton case was in litigation for four years. During this time, Associations are faced with tough choices of how to mitigate or remediate problems. The net result is that unscrupulous Developers often can continue their practices without any real penalty. This case will of course be appealed, so it’s not a complete victory yet. I will continue to track it, as it’s a major development for Condo Associations. 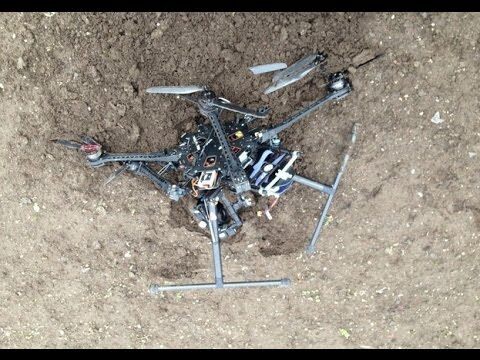 Get used to crashed drones. A drone that was recording aerial photography had a malfunction and crashed into a Florida Condominium balcony. Fortunately, no one was hurt, damage was minimal, and charges were not filed. Expect this to be the first of many such stories, although I imagine you won’t see too much coverage unless there is property damage or human injury. That said, this makes it all the more critical you think about drones in your Association. They have positive benefits, but they can also be a nuisance if not correctly regulated. Now for some good news! The US House of Representatives introduced a bill that would allow homeowners making up to $115,000 a year ($150,000 for joint returns) to deduct up to $5,000 in HOA fees from their federal taxes. The bill has currently been referred to the House Ways and Means Committee. While Congress is likely to be slow during an election year, it’s still nice to see Washington looking for ways to reduce the tax burden of homeowners. You can read the full text of the bill here. One can argue if this is “fair” or not – HOA fees often cover expenses that typical homeowners have to pay anyway (like roofs, windows, etc.). However, many HOAs also have to maintain roads and other infrastructure in semi-public areas or shared areas. We will see what comes next for this bill. That’s all for this the May 2016 Condo Association News update. Check back next month for all the key news to keep you up to date.